If you are in Concord and need roofing services, do not hesitate to call us. Properly caring for your roof will help it last longer and allow it to provide better protection to the rest of your home. 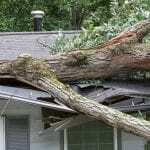 A roof in good condition keeps precipitation and wind from damaging or entering your home. A good roof also makes your home more energy-efficient by minimizing the outflow of air. After years of wear and tear, roofs can suffer a lot of damage, so it’s important to take good care of your roof. You should regularly schedule a contractor for roofing services. The more frequently you have a professional look at your roof, the better chance you’ll have for avoiding serious damage. As with all aspects of maintaining your home, the sooner an issue is diagnosed, the sooner it can be fixed. Issues that are ignored or neglected can quickly become far more expensive to fix. If you are in Concord, North Carolina and need any of these roofing services, do not hesitate to call us. We look forward to scheduling an appointment with you and providing you with an excellent customer experience. Taking care of your roof is an important aspect of homeownership, and we are here to help you with that. We know what we’re doing, so your roof will be in good hands. We have a hardworking and efficient team, and we’ll make sure you receive the best quality materials. We’ve been in this business for years and are able to offer our customers competitive prices. 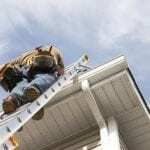 At JM Reynolds Builders, LLC, we offer roofing services in Concord, Kannapolis, Charlotte, Salisbury, Mooresville, Huntersville, Granite, Quarry, Davidson, and Paw Creek, North Carolina.